Google launched the Nexus 6P at the end of September, and ahead of our full review we’re bringing you a quick look at how it compares to the Samsung Galaxy S6. Does the stock Android phablet have what it takes to beat the Samsung flagship? Find out in our Galaxy S6 vs Nexus 6P comparison. These handsets provide a stark contrast in terms of design. Though both are housed in metal and glass, the Galaxy S6 is noticeably shorter and narrower. The Nexus 6P has a distinguished camera sensor visor on the back, and the Galaxy S6 has that unmistakable camera pimple. Which design is best? That’s up to you. The Nexus 6P is a big device, and it may be difficult to use one-handed. The Galaxy S6 is certainly the more pocket friendly, and it’s 40 g lighter than the Nexus 6P (138 g compared with 178 g). Both devices feature impressive QHD displays. The Nexus 6P screen comes in at 5.7 inches while the Galaxy S6 is 5.1 inches. As the larger display, the Nexus 6P may be best for viewing media and typing, but Samsung’s super-saturated displays take some beating. Both screens are protected by Gorilla Glass 4 and the Nexus 6 display is AMOLED, while the Galaxy S6's is Super AMOLED (Samsung’s own technology which it says reflects less sunlight). The Galaxy S6 has a 16 MP camera with optical image stabilization, autofocus and LED flash. It’s a high-quality Android camera with superior low-light capabilities. The 12 MP Nexus 6P camera comes with laser autofocus and dual-LED flash. We haven’t had a chance to test the Nexus 6P camera yet but it is said to have excellent low-light capabilities too. With both smartphone cameras being optimized for performance in darker settings, it will be interesting to see which is best. While Samsung has the larger number of pixels, the Nexus 6P’s dual-LED flash setup means it should provide the brightest pictures. The Nexus 6P comes with a Snapdragon 810 processor, and the Galaxy S6 houses its own Exynos equivalent, the 7420. Both handsets have 3 GB of RAM. In most circumstances, Samsung’s processor provides faster benchmark scores. But as the Nexus 6P has been developed specifically for stock Android Marshmallow, and the Galaxy S6 uses Samsung’s TouchWiz UI, the Nexus 6P could deliver the smoothest overall performance. The Galaxy S6 will receive Android Marshmallow in future, but as the phone was built for Lollipop, the upgrade may have an impact on overall performance. Both devices have displayed strong performance in our experience, however. As a Google device, the Nexus 6P will receive updates fastest, but it misses out on some TouchWiz features such as Download Booster and more advanced power saving settings. Lastly, neither device has a removable battery or expandable storage, but both have a fingerprint scanner. The nexus 6P comes with a very nice 3,450 mAh battery. This is a 900 mAh more than the Galaxy S6 at 25,50 mAh – which is a significant difference. The Nexus 6P should have more capable battery life, especially with Marshmallow installed. But once Samsung catches up, the difference may be less pronounced, especially when you consider the 6P has a bigger display. Still, with the gap between them so large, and the 6P running the stock interface, it would be a surprise if this still didn’t offer the best battery life. The Nexus 6P comes with USB Type-C connector and fast charging, while the Galaxy S6 has a micro-USB connector, quick charging and wireless charging. You can read our thoughts on why the new Nexus phones lack wireless charging at the link. So, which device should you spend you cash on? The Nexus 6P costs US$499 for the 32 GB model while the 32 GB Galaxy S6 currently costs a little more, around US$520, and it is a few months old. At similar prices, with similar hardware, the main considerations in this comparison are design and software. If you like how the 6P looks and want fast updates, that will be the device for you. 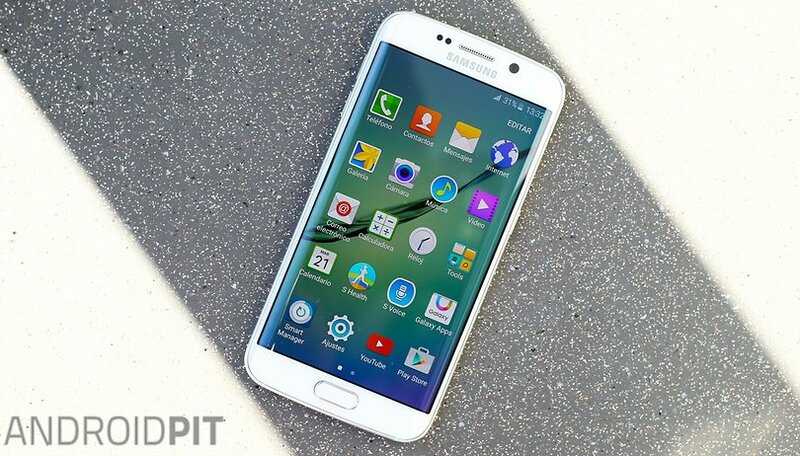 If you prefer the aesthetic of the Galaxy S6, and want a smaller phone, go with the Galaxy S6. Which handset would you prefer? Let us know in the comments. I prefer the faster phone with the better camera and display. And that's the S6 no doubt. I love the 6p's software, but it's no deal breaker, nor is dual led flash. I just use nova launcher on my s6. Sorry 6p, you are great but not better. I forgot to mention batter, the one thing the 6p does better. I understand it's important to some, but I am left with enough to charge with the fast charging to full when I go away for one hour at 8:30. It usually is at about 30 percent then, I charge it to full and it lasts the rest of the night. I always use half brightness outside, and a third inside. The S6 just takes the edge on this one no doubt. So does the edge, edge plus, and note 5. Not to say the 6p is bad. I prefer the Nexus 6p. I want something that isn't Samsung and Apple. Everyone has those phones. I'm go for it and see how I will like it. Android 6.0 was made to be more efficient than 5.0, and the doze function saves on battery life by using less when the office is idle. I've seen both run on the save phone, and it does make a difference. It's also worth noting that the same spec of Samsung's version of Android won't run as well as stock Android, because Samsung slap loads of additives on to it that slow it down and cause the lower end Galaxy phones to crash quite often when compared to similar spec phone's from other manufacturers.